A large majority of Greece’s lawmakers approved an amendment handing out a one-off cash benefit to low-income pensioners in a roll-call vote on Thursday. The amendment tabled by the labor and finance ministers was passed with the support of 196 MPs out of a total of 257, from the ruling coalition parties SYRIZA and Independent Greeks (ANEL), far-right Golden Dawn, the Democratic Alliance and the Communist Party of Greece, as well as three independent MPs. 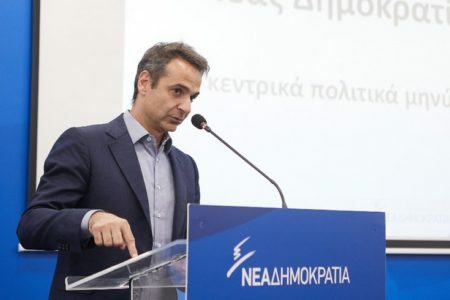 Sixty-one MPs of the main opposition New Democracy party abstained with a ‘present’ vote, while the opposition Potami party and four independent MPs were absent and the Union of Centrists walked out. The amendment distributes excess tax revenues collected in 2016, which surpasses the targets set under Greece’s bailout program, as a one-off payment.